Canada is turning 150 on July 1st, 2017 and in the spirit of celebrating her vast lands and cultures, Eat This Town will transform into Eat This Country for the next few weeks! 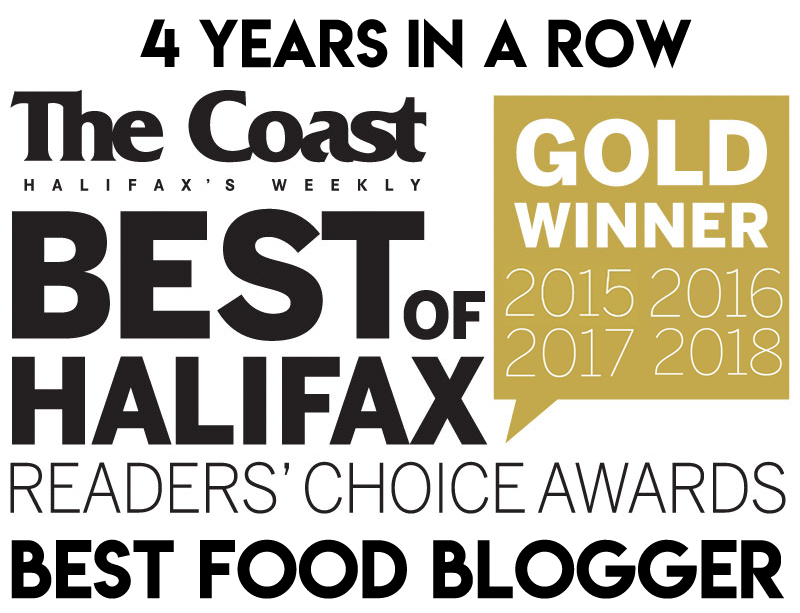 I will be showcasing each province and territory’s unique contributions to our culinary landscape, with the help of fellow bloggers from all across Canada. Be sure to follow Eat This Town on Twitter, Facebook and Instagram – or follow by e-mail to never miss a post! Don’t forget to vote for your favourite food in the poll at the bottom of each weekly post! See the rest of the series here! New Brunswick is like the middle child of the Maritimes. 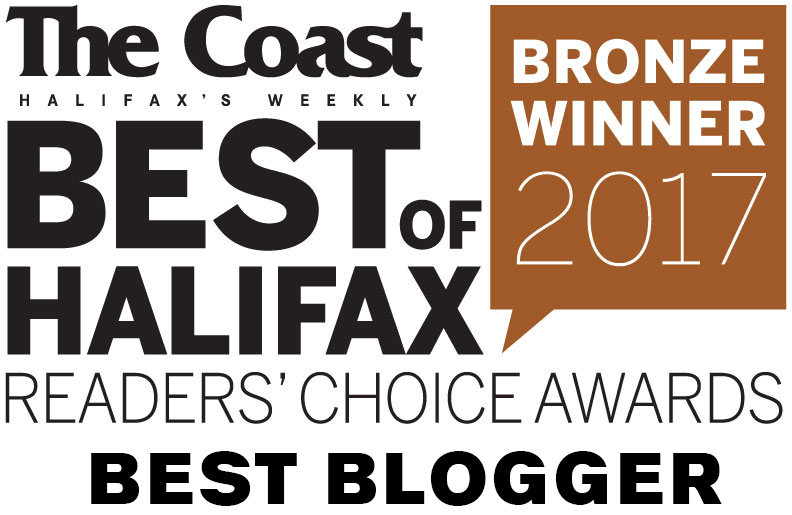 It is quieter, more humble, and often doesn’t get as much credit as Nova Scotia or PEI when it comes to tourism prospects, despite having some pretty cool stuff. You could say it’s the strong, silent type (unless it’s a kitchen party). New Brunswick is more woodsy and rural and is defined by its rivers as much as its seacoast. The Saint John River is the longest and drains into the Bay of Fundy, sometimes reversing its flow due to the tremendous tides. New Brunswick is known for the Hopewell Rocks, its Covered Bridges (including the longest covered bridge in the world) and its Acadian Culture. It is the only official bi-lingual province in Canada. 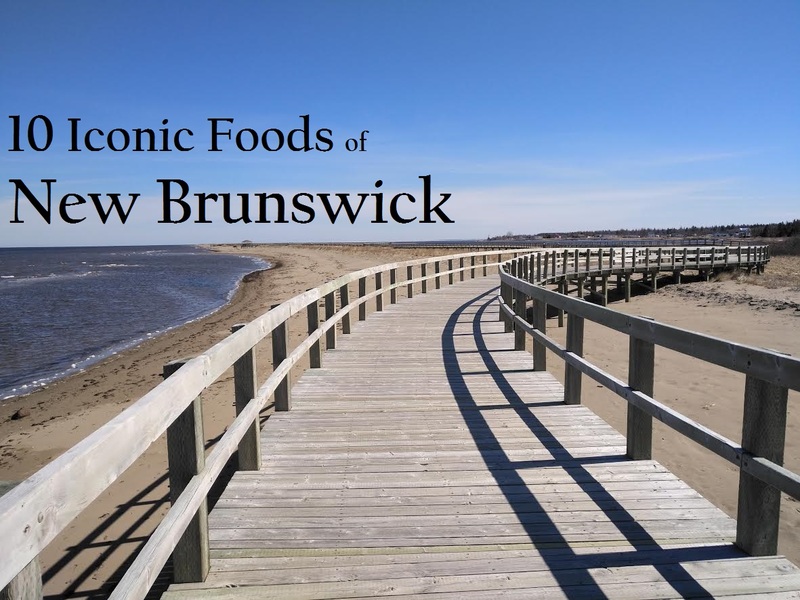 New Brunswick foods are similar to the other Maritime provinces, with elements from Mi’kmaq, Irish, English, Loyalist and Acadian cuisines. 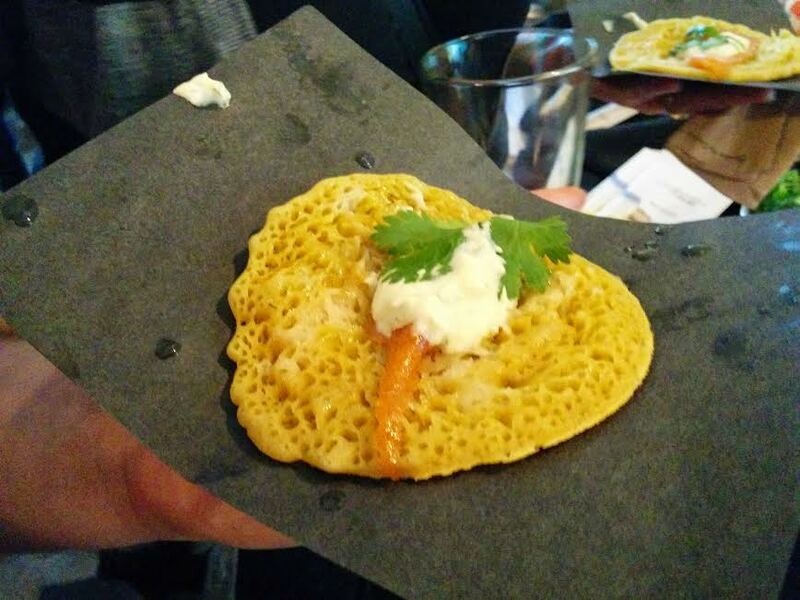 Since it borders Quebec and Maine, it also shares some culinary traditions with those regions. Here are a few foods that are particularly iconic of New Brunswick. Mi’kmaq Mama is a blog that shares Indigenous culture, ideas and stories. You can learn new “from scratch” recipes, read about greener ideas for your home and insightful stories from Mi’kmaq Country. Mi’kmaq Mama can be found on many social media sites, such as Facebook, Twitter, YouTube and Instagram. “Fiddleheads are a traditional seasonal delicacy for Mi’kmaq and Wolastoqey People of New Brunswick. They are the unfurling fronds of a young fern plant, found in the forest. In Wolastoqey, “mah-sos” is the word for fiddlehead. In Mi’kmaq, the word for fiddlehead is “ma’sus.” In New Brunswick, the traditional territory of Tobique First Nation (now known to settlers as Plaster Rock) boasts the “largest fiddleheads”. Whereas the traditional territory of Listuguj First Nation (now known to settlers as Tide Head) claims to be the “fiddlehead capital of the world”. 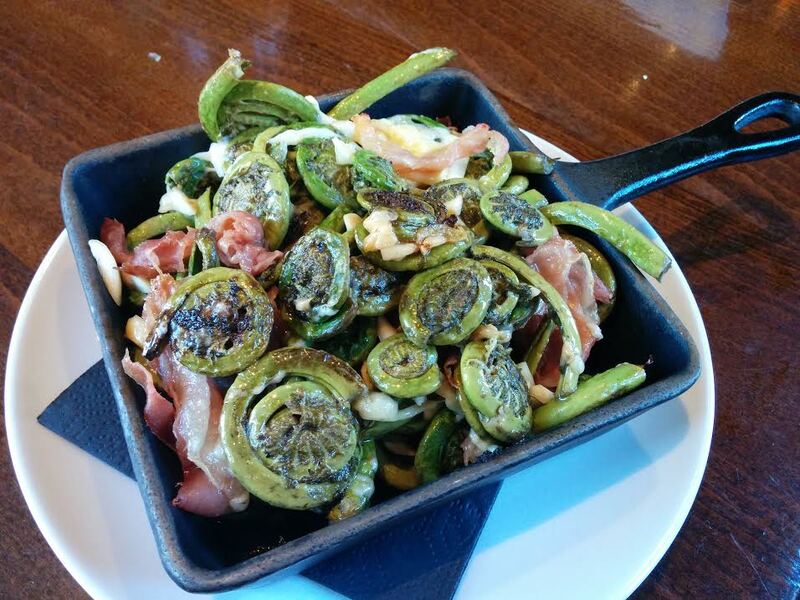 Either way fiddleheads are deeply embedded in local indigenous communities and cultures in New Brunswick. Fiddleheads inspire many architecture designs and artwork in Wolastoqey and Mi’kmaq cultures. For example, Mah-Sos School in Tobique First Nation is deeply inspired by the fiddlehead, as evidenced by the school’s name and its many architectural elements. Indigenous artists look to the curled design for inspiration. Curled designs are frequently incorporated into artistic designs. Did You Know? Plaster Rock has a 24-foot wooden fiddlehead carving and a fiddlehead festival is celebrated every year on July 1st (Canada Day). 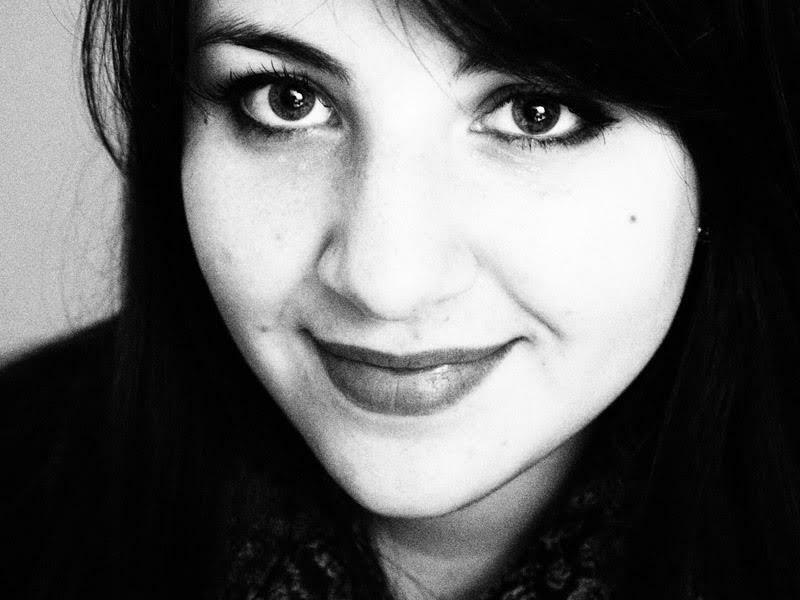 Christina Allain is an Acadian from Bouctouche, a small town on the East Coast of Canada in the province of New Brunswick. 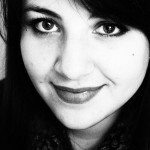 Her bilingual blog , éclectique eats, explores food history and culture. ‘‘If there was one dish that could be called typically Acadian, it would certainly be Fricot’’ writes Marielle Cormier-Boudreau and Melvin Gallant in their A Taste of Acadie cookbook, in which we find an entire chapter devoted strictly to fricot. 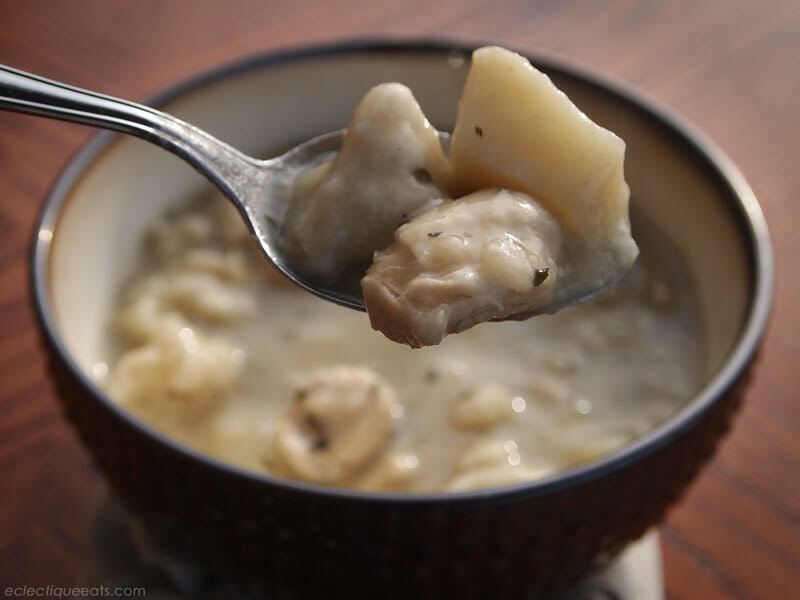 Fricot is a hearty stew containing potatoes, dumplings and meat, fish or seafood. 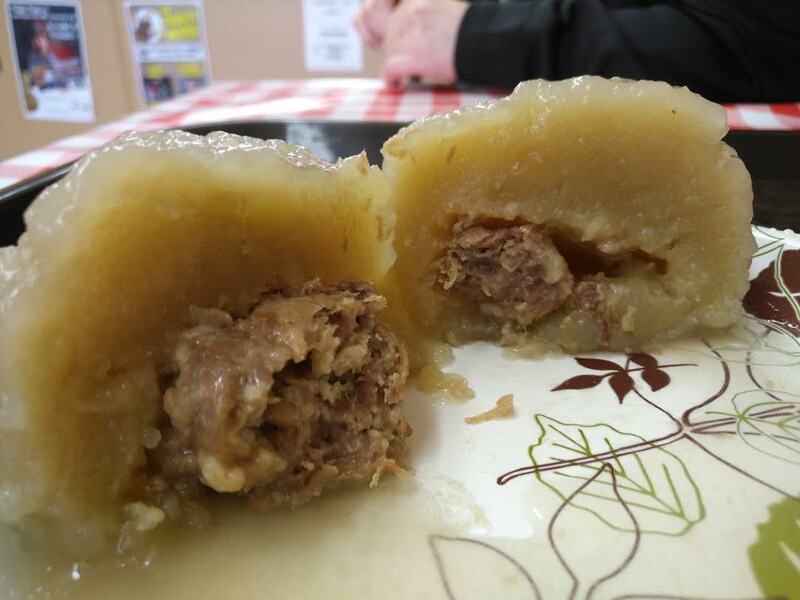 It is an old traditional recipe, yet remains the most popular dish in Acadian gastronomy to this day. In some areas of New Brunswick, fricot may also be referred to as ‘‘bouillon’’. Acadieman, the beloved first Acadian superhero, even gets into a heated argument over the dish’s name with a rebel from the north of the province in the Acadieman Vs. La Guerre Civile episode. Because of its filling ingredients, fricot is considered a stand-alone meal typically served as a main course, or first course in smaller portions. It is served in bowls and eaten with a spoon. The comfort food is accompanied with bread, or pain de pays (home-made bread), and crackers. One can find fricot in many restaurants across New Brunswick. 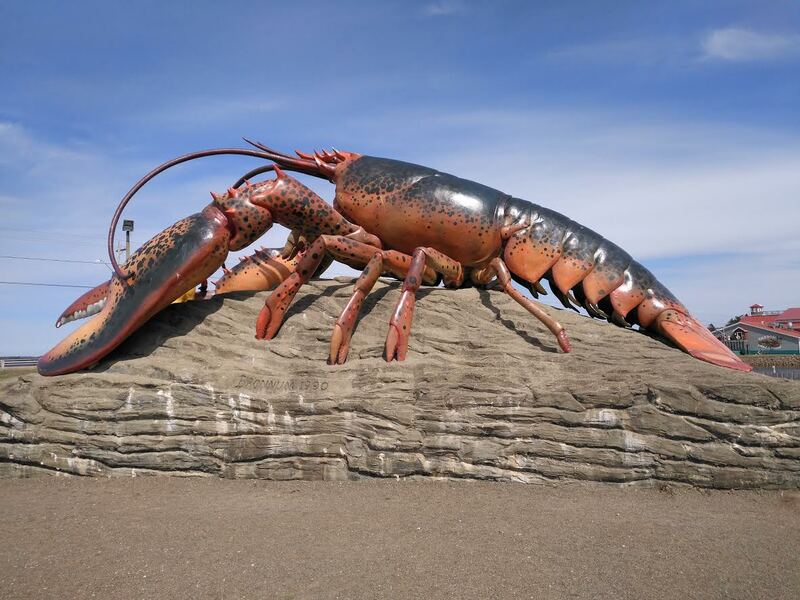 Shediac, New Brunswick claims to be the “Lobster Capital of the World” and even erected a 90-tonne lobster sculpture in 1989 to commemorate the title. Shediac was home to one of the early lobster processing and canning facilities (1861), and the Shediac Lobster Festival has been going strong since 1949. Shediac also holds the world record for the longest lobster roll which was 106.2 feet (32 meters) at the 2016 Lobster Festival. Lobster rolls are serious business in New Brunswick! Garlic fingers are widely available around Atlantic Canada, but nobody really knows why they are so popular here and not elsewhere. The shock a Maritimer has when they first realize there are no garlic fingers or donairs west of New Brunswick is a topic that has been parodized. 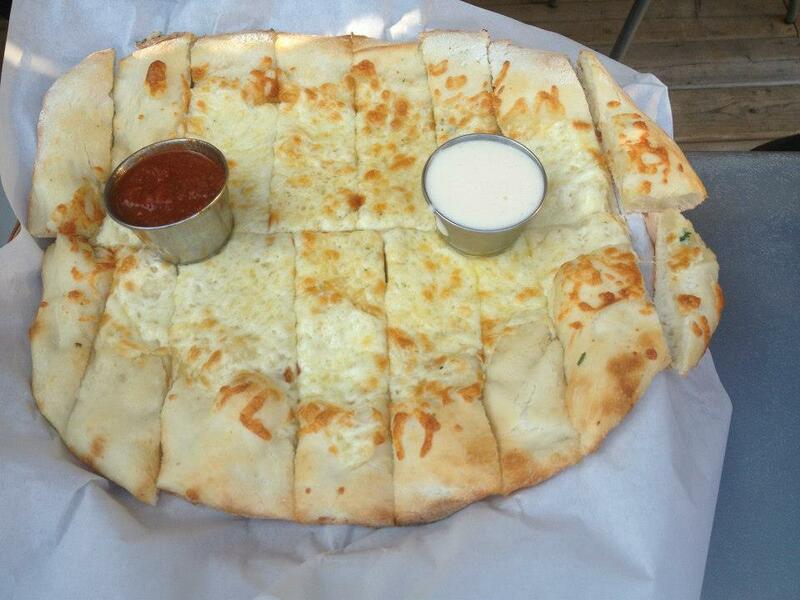 Sure, there are pizza restaurants around the world who serve some sort of cheesy bread stick to be dunked in sauce. But in the Maritimes, garlic fingers are the game and donair sauce is the designated dunk. One vague and unverified story claims that garlic fingers were popularized by New Brunswick-based chain, Pizza Delight. If this is correct, the practice of pairing garlic fingers with donair sauce may have originated in New Brunswick. They are the perfect food to introduce in the later hours of a party. Boozy folks will run gleefully towards you, everyone grabbing a finger and fighting over cups of sauce. There’s never enough sauce. Always order extra. When most Canadians think of “poutine” they think of the famous dish of fries, cheese curds and gravy. That is what New Brunswickers might refer to as “Poutine Quebecois”, whereas “Poutine Acadien” is something different all together. The word poutine has existed in French Canada for hundreds of years, but it’s etymology is murky. It means either “pudding”, “mess” or a hodgepodge/mishmash of things. There are lots of Acadian recipes that are some sort of poutine. The word râpée means “grated”, and poutine râpée are boiled dumplings of grated and mashed potato with a salt pork filing. They are commonly eaten for Christmas or other special occasions, but you will find restaurants around New Brunswick that specialize in the dish. People eat them with molasses, butter, brown or white sugar. Ployes are buckwheat pancakes popular in the Madawaska region of New Brunswick and Maine. This is a French speaking region with Quebecois borders and Acadian heritage. Ploye batter is made from yellow (Silverskin) buckwheat flour (not the conventional grey stuff). The pancakes are cooked on one side only, until they develop “eyes”. They are served rolled up with butter, and plopped down on the table to accompany baked beans or chicken fricot. They are also served with cretons (pork spread) or maple syrup, but lend themselves to creative whims. Check out Acadie Gourmet to see local products & restaurants in the Madawaska region. Dulse is a seaweed that is gathered from the rocks at low tide. Most Maritimers just eat it out of the bag, but it is also sold as flavouring powders and flakes. It is exceptionally nutritious, packed with vitamins B6 and B12, potassium, iodine, iron and fatty acids. The world’s best dulse is harvested from Dark Harbour, on Grand Manan Island. This is due to the cliffs that shade the dulse from too much sunlight. Grand Manan dulse is said to be darker, thicker and more flavourful. 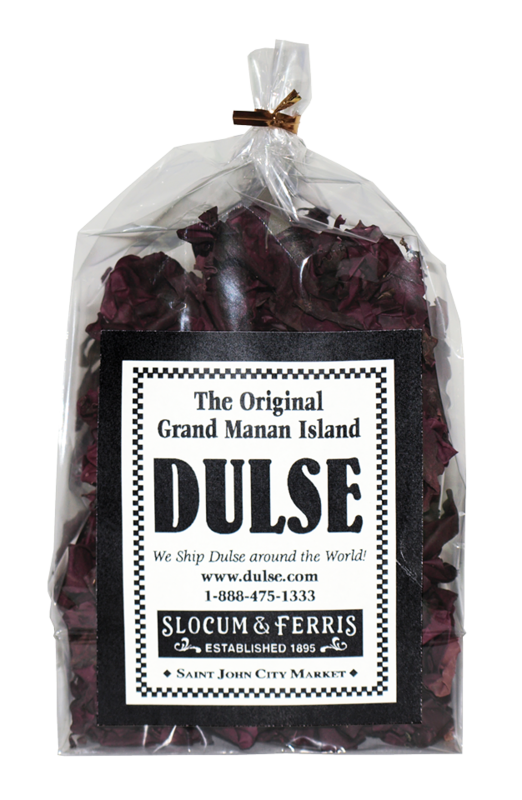 At the Saint John City Market, you’ll find historic grocer Slocum & Ferris, who have been selling dulse there since 1895. Nowadays they are also known for their DLT sandwiches (dulse, lettuce & tomato). Did You Know? The historical nickname for Nova Scotians is “Bluenosers”, while New Brunswickers were “Herring Chokers”. The latter had everything to do with the herring & sardine industry (and pinching off fish heads with two fingers), whereas the term “Bluenoser” is thought to have been a term for fishermen with ice cold runny noses. It is also thought, perhaps more accurately, that “bluenoses” were a type of blue potato that grew in Nova Scotia and made up much of the diet. A traditional dish for both provinces, after all, is herring and blue potatoes. Lady Ashburnham was a telephone operator whose lovely voice captured the heart of a retired British soldier. He married her after many late night chats, when he would call for carriages to the local taverns. They became unexpectedly wealthy when all of his brothers successively died, and he inherited the family fortune and the title of Earl. Though they had properties in England, the couple never really “fit” in London so they stayed where they were most happy – Fredericton! Their Brunswick St. home was the center of social life for the Fredericton elite. 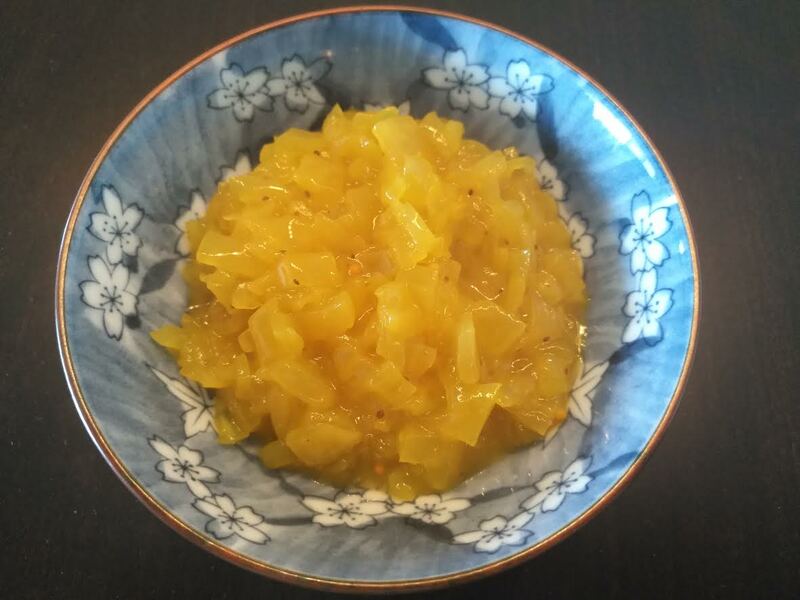 Lady Ashburnham loved to entertain, and her signature mustard pickles (which were actually made by her sister) were famously served at various functions. These came to be known as “Lady Ashburnham’s pickles” and their popularity continues to this day. Everywhere else in Canada, “brown bread” generally refers to whole wheat bread. But in the Maritimes “brown bread” means molasses brown bread and it’s on a whole ‘notha level! There are two versions of molasses brown bread: the steamed version (which is more associated with Boston) and the baked version, which is laced with oatmeal and oh so good when fresh out of the oven. It’s chewy and moist and slightly sweet. Just spread on some butter while it’s still warm. It’s also the traditional accompaniment to baked beans on a Saturday night. 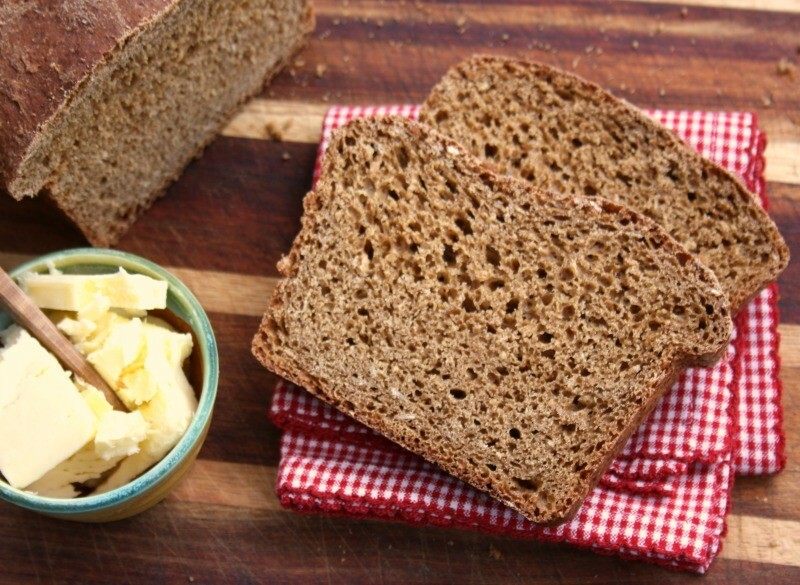 Brown bread probably dates back to when Irish households would make bread out of leftover porridge and molasses. The latter was a cheap and available sweetener on the east coast. Crosby’s Molasses is based out of Saint John and has been around since 1879. Check out the recipe for brown bread on their web site. Founded in 1873, Ganong is Canada’s oldest independently owned candy company. 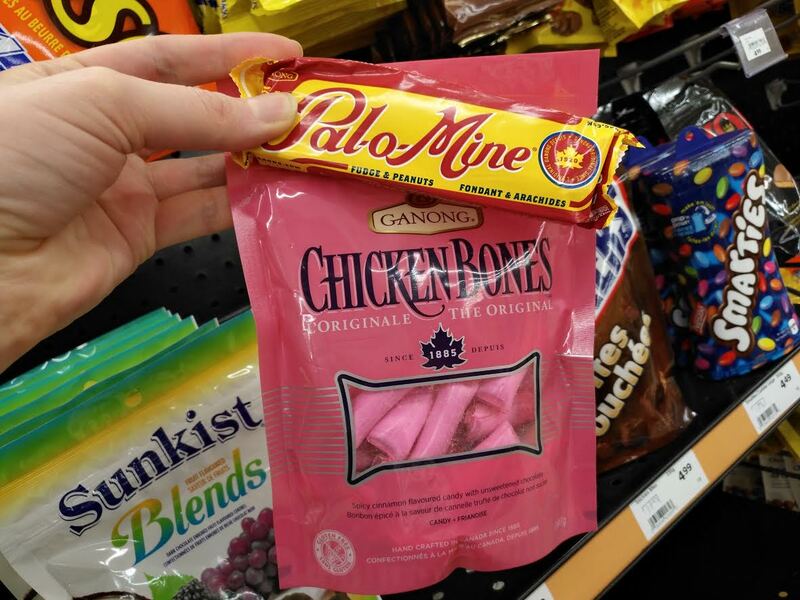 Based in St. Stephen, “Canada’s Chocolate Town”, Ganong is responsible for those uniquely Canadian chicken bones (hard pink cinnamon candies with semi-sweet chocolate centres) found at a grandmother’s house near you! On fishing trips with his chocolatier, Arthur Ganong realized that by wrapping his chocolate bars with cellophane they wouldn’t melt all over his pockets. This inspired Ganong, in 1898, to start selling the first individually wrapped 5 cent chocolate bars. Their longest-lasting chocolate bar, the Pal-o-Mine, is still kickin’ around from 1920. If you visit St. Stephen, make sure to check out the Ganong Chocolatier Shop, where you can try old-fashioned chocolate varieties that have been made for over half a century. There is also a Chocolate Museum and Chocolate Festival (Aug 5-12th, 2017). Move over PEI! Florenceville, New Brunswick is known as the “French fry capital of the world”. It is home to McCain Foods Limited which supplies 1/3 of the world’s frozen French fry products. 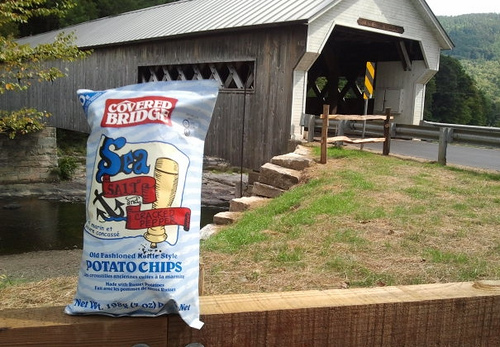 While in the area, you can visit Potato World and while in Hartland, you can visit Covered Bridge Potato Chips, a producer of old fashioned kettle chips in both traditional and locally inspired flavours like Donair, Lobster and “Storm Chips”. Did You Also Know? “Storm Chips” became a viral hashtag/meme in the Maritimes as an expression for storm-ration snacks. Read more. New Brunswick, Nova Scotia and PEI share much of their cuisine. Things like chowder, blueberries and garlic fingers you will find all over the Maritimes but I tried to stick to the MOST iconinc foods for each province. Other New Brunswick foods I could have added: Mrs. Dunster’s Donuts, Poutines à Trou, Pâté à la Râpure, Acadian Meat Pie, Clam Chowder, Baked Beans, Maple Syrup, Herring, Snow Crab, Scallops, Oysters, Caviar, Miramichi River Salmon. When I saw the link to “strong, silent type”, I clicked on it, ready to level judgement and scorn upon you if it *wasn’t* a link to that ad. You can imagine my joy when I realized that “strong silent type” alluded to an ad put out by no other than McCain! Let’s not forget green tomatoe chow chow!